Jeff Bridges, John Goodman, and Steve Buscemi reunited over dinner to discuss the 20th anniversary of The Big Lebowski. The Coen Brothers film has become a cult classic over the last 20 years, inspiring its own religion and annual festivals to celebrate the Dude and his philosophies. Bridges, Goodman, and Buscemi discussed what their initial thoughts on the script were as well as what they think of the cult following that the movie has amassed over the years. John Goodman was asked whether or not it felt like twenty years had passed since they met up to make The Big Lebowski. The actor said, "It does, and it doesn't. It's strange." Goodman went on to talk about new generations discovering the movie, which seemed to trip him out. Overall, Goodman had fond memories of his time on the set. He explains. "It was great, 'cause you got this dialogue that, you're sitting on top of the world. And the camaraderie with everyone." Steve Buscemi admitted to not totally understanding The Big Lebowski script when he first read it. However, he later fell in love with Joel and Ethan Coen's writing, though he still to this day doesn't understand why everybody was so mean to his character in the movie. Buscemi had this to say about making The Big Lebowski. "I loved it, I thought it was really kind of wild and weird and funny. But I have to say, when I was reading the part of Donny, I didn't get it. I felt bad for the guy, I felt sad. I thought, why does Walter bully him all the time? And then my favorite scene is the ashes." Jeff Bridges, who might as well be the Dude in real-life, gets asked about The Big Lebowski on a daily basis. He mentioned that Buddhist followers have told him over the years that the Dude's philosophy actually works well with Buddhist teachings, which surprised the actor. In the end, Bridges admits that his character has a moral center, even though he's "a big ol' stoner." Bridges then joked that his character really just wanted his "rug, man," which got the whole table laughing. The iconic film was a total box office failure upon its release in 1998, but you wouldn't guess that today. 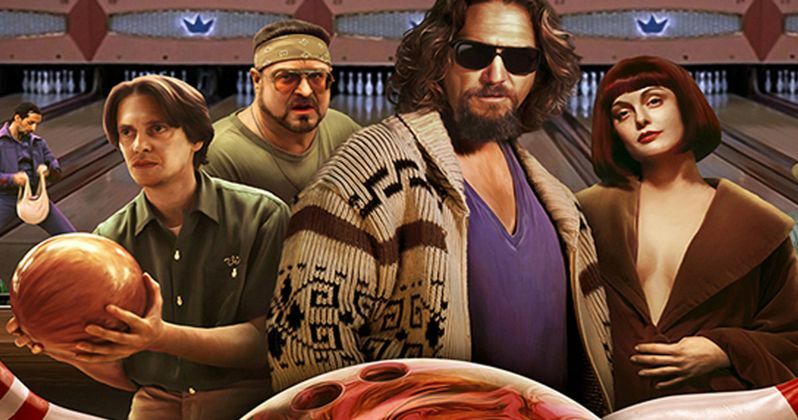 The Big Lebowski is a part of the cultural lexicon and something that fans brag about, having seen it in the theaters during its short theatrical run, much like being a fan of the Beastie Boys' Paul's Boutique upon its release in 1989. Some pieces of art are just a few years head of their time and it takes the public some time to catch up. While Jeff Bridges, John Goodman, and Steve Buscemi were only originally together for the interview, they ended up closing the restaurant, clearly enjoying each other's company and talking about The Big Lebowski. You can watch the entire interview below, thanks to the Today Show Twitter account.